You selected that carpet with careful attention and a lot of excitement. You did your research well and you were able to buy the best material that met your needs and budget. 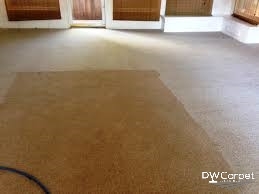 Carpet flooring was done and it did serve you well, and you got the value for your money. Eventually, your carpet gets old, and no matter how frequent and proper you take care of including taking it for carpet repair, you realize that it’s time for carpet replacement. After realizing that you need new carpet flooring, you might start wondering if there is any way you can put the old carpet into any good use. Well, that’s the main purpose of this post. 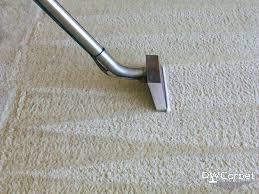 We are going to highlight some of the most constrictive ways of reusing that old carpet. Carpets are quit huge inside. Irrespective of how old it is now, I bet there are parts of it that are good enough and can be put into good use instead of throwing away the whole thing. In case there are removable stains on it, you can use vinegar or baking soda to get read of them easily. 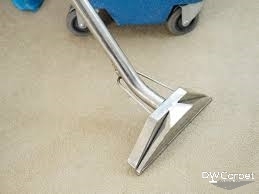 That way, the carpet will again look fresh and spotless. Now, get yourself a pair of scissors and cut out the any unwanted part, but keep the part that looks good. Next, add tassels or lace around its circumference. Just like that, you now have a pretty rug that you can place bedroom. You can also place the rug on your patio and it will add that unique touch of elegance to it. When you do carpet replacement, you will not have to spend huge amount of cash buying those costly floor mats for the car. Instead, cut up the old carpet carefully into the size and shape of vehicle mats. This will save you a lot of money. Furthermore, these mats are usually softer as compared to regular vehicle mats. What’s more, these mats usually look much better than the ones made specifically for cars. If you like, you can also cut out rectangular pieces and make them into foot mats which you then place in your home. Turning an old carpet into a pet bedcover is another innovative way of reusing it. To make these bed covers, just cut that old carpet into large pieces. Next, double them up and then use some foam to stuff them up. Lastly, stitch around the edges. As simple as that, you will have created a good-looking dog bed cover for your four legged friend. Carpets have smooth surfaces, and this makes them provide the comfort that any dog will love. One carpet can make a number of these bed covers, but the number depends on how big the material is, and the size of the bed or dog. Cats are known worldwide for their habit of scratching surfaces and running them. Fortunately, you can easily prevent this. How? Well, cut an old carpet into pieces of reasonable sizes and use them to cover the cut furniture. Be sure to keep an extra piece of it in its house so that it can be an exclusive scratcher. Your cut is definitely going to love you more for doing this to him. Old carpet can be lined up the walls of a basement or shed to turn it into a great sound studio. Organize those enjoyable loud basement parties if you are a party animal and enjoy the music without interfering with your neighbors because the carpet lining will contain the sound within the basement and no or just a little sound will reach outside. Carpets have great noise absorbing properties, and this makes them perfect for use in places associated with loud music. Have you ever known that carpet flooring is a great way of preventing noise pollution? Well, now you know. When you have done carpet replacement, you can use the old one to create a new pathway in the garden. You can cut up long strips out of the carpet, or use it whole. Lay it out in the garden to create pathways.